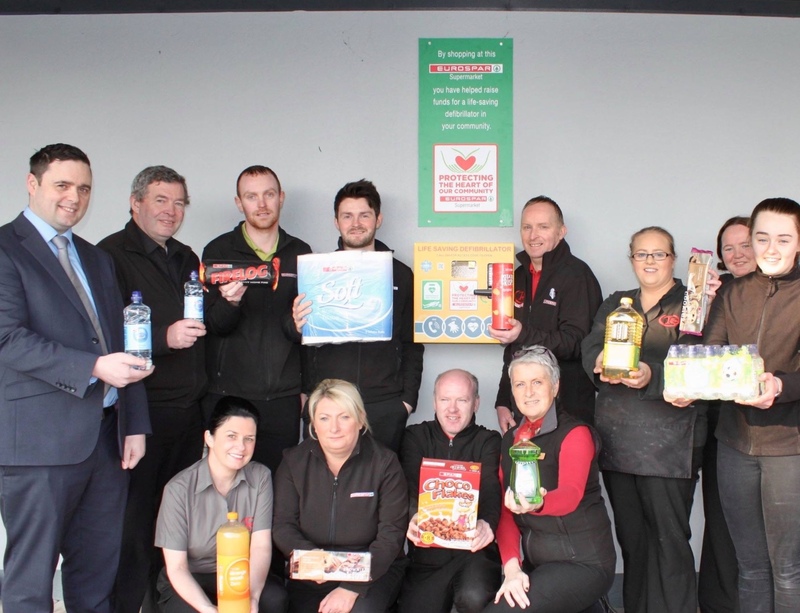 Great news this week as a new Defibrillator has been launched at Kernans EUROSPAR Newtowncunningham. 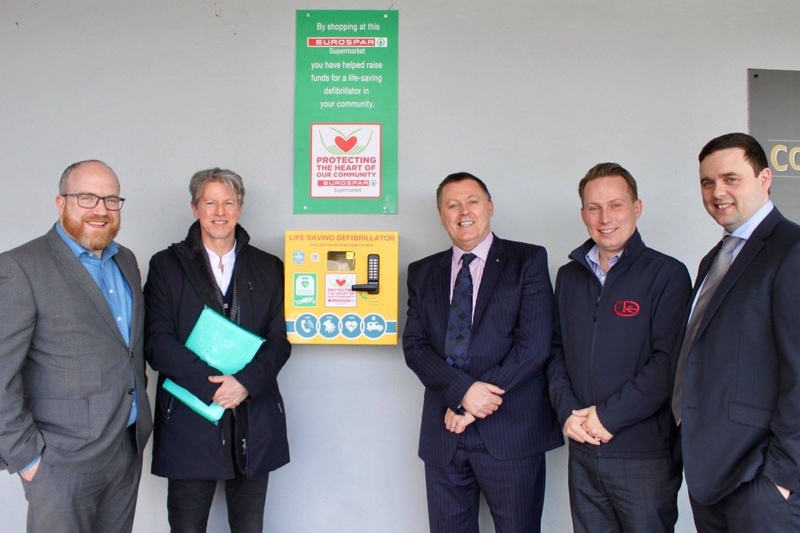 The potentially life saving cardiac equipment will be available 24hrs a day to anyone passing by the supermarket, the local community and business and sports clubs in the area. 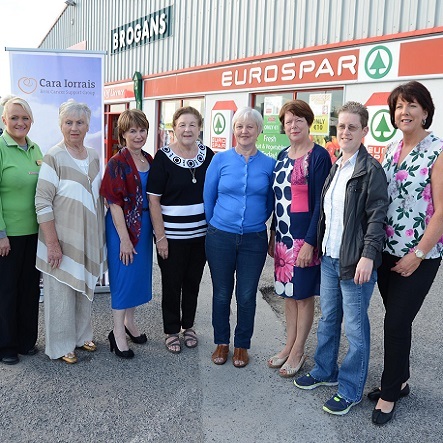 The code for the locked cabinet is available in store or by contacting 999. 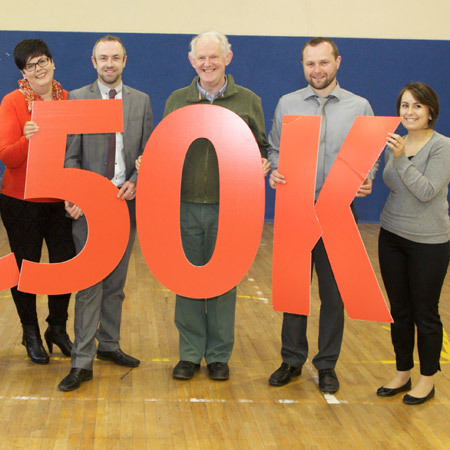 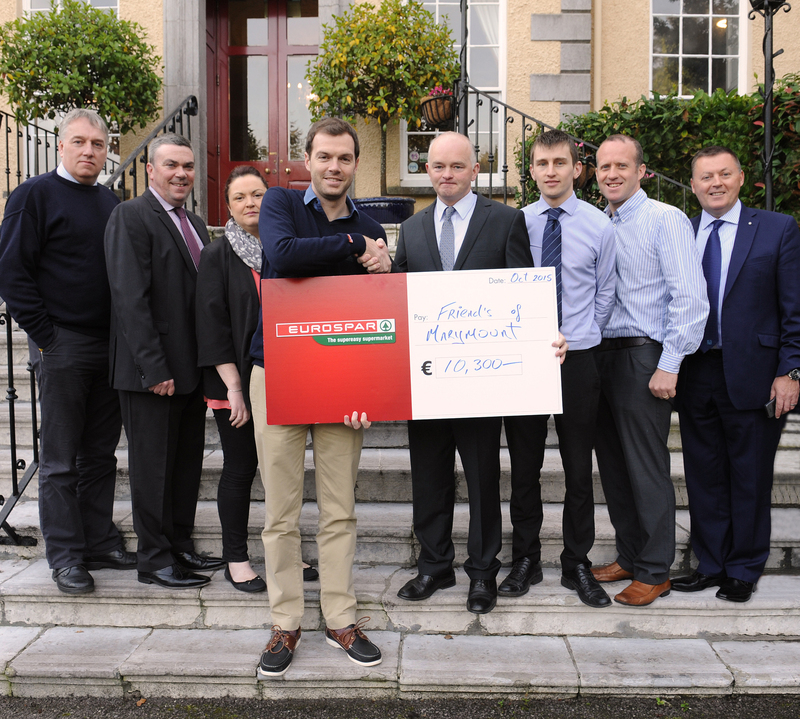 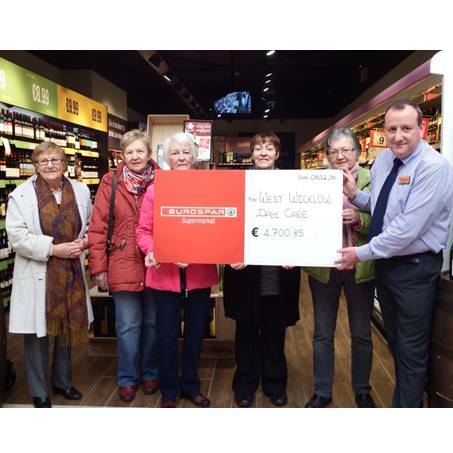 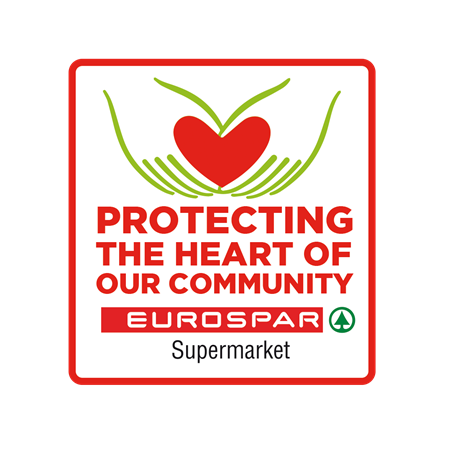 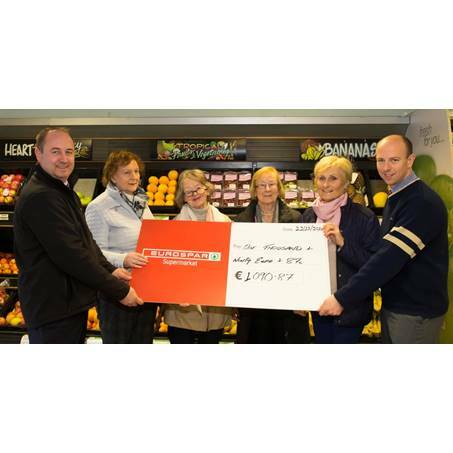 The defibrillator was funded by contributions from the sale of a selection of SPAR Range products in the supermarket through the “Defibrillator at every EUROSPAR Supermarket” initiative. 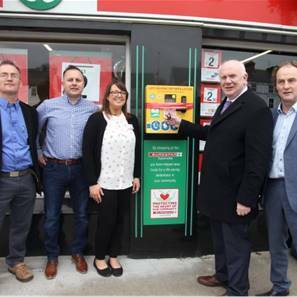 Malachy Hanberry, EUROSPAR Managing Director , Des Symth Head of EUROSPAR Retailer Services and Mark Gallagher Retail Operations Advisor from EUROSPAR Ireland were warmly welcomed into Kernan’s yesterday to officially launch the new Defibrillator with Anthony Kernan and team. 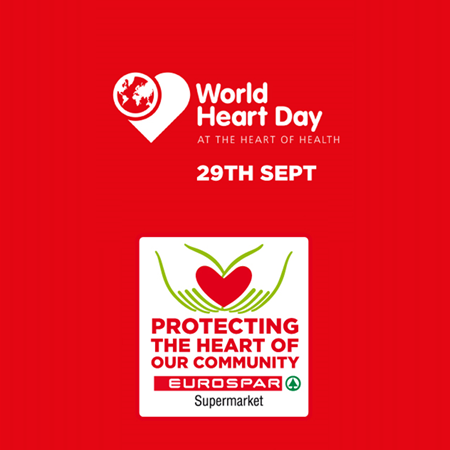 The supermarket are now planning to run an awareness campaign to inform the public of the device’s whereabouts. 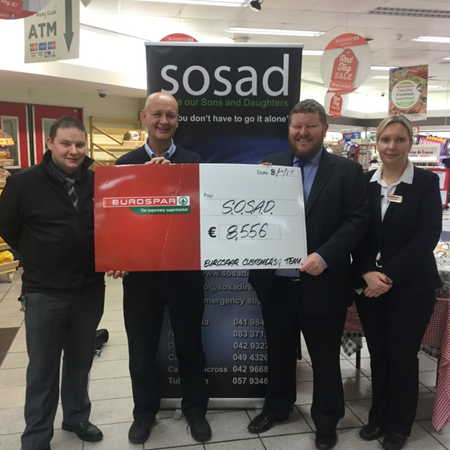 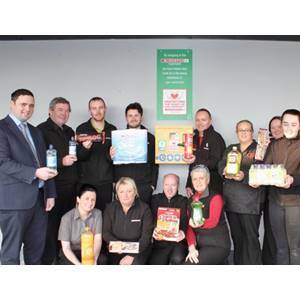 A huge thank you to all of Kernan’s customers for purchasing SPAR Range products which has helped fund this fantastic initiative.